January is National Blood Donor Month and the American Red Cross has an urgent need for blood and platelet donors of all blood types, including right here in Maine. 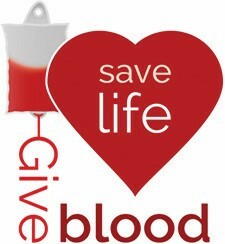 increased need due to blood drive cancellations. Additionally, American Red Cross points out that the flu, and hectic holiday schedules collectively, contributing to more than 28,000 fewer donations than what was needed in November and December. Local veterans, along with Coldwell Banker Team Real Estate, will sponsor a drive on Wednesday, January 24 from noon to 5 p.m. at the Windham Veteran’s Center. Although appointments are encouraged, drop-ins are accepted. To make an appointment, call 1-800-RED-CROSS. Dunkin Donut cards will be available.